Are you struggling with entrepreneurial overwhelm? It’s a wall that most, if not all, business owners face at some point. 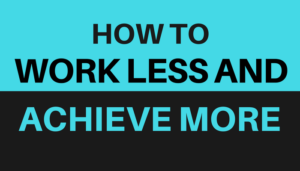 Did you know that you can achieve greater success and business efficiency by actually doing less? 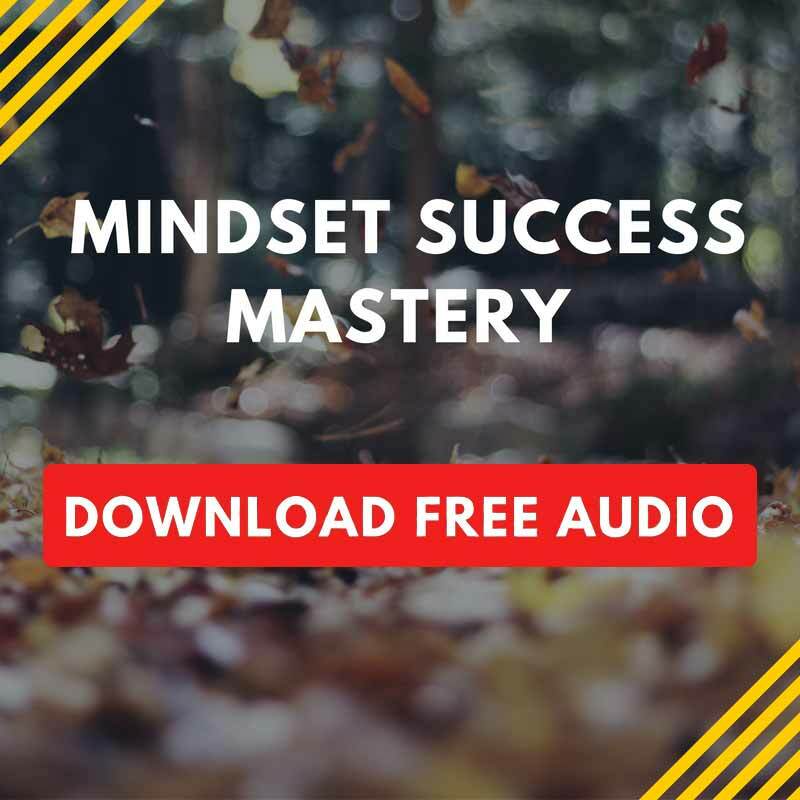 The secret is to identify the tasks that result in the highest-value results for your business, focusing the majority of your attention on those tasks while finding a way to focus less on the other tasks. Here’s a five-step system to working less while achieving more growth in your business. Step 1: Identify your “20%”. The Pareto principle (AKA “80/20 principle”) states that 80% of our results come from 20% of our efforts. So the first step is to identify those 20% of tasks that drive the 80% of revenue for your business. Which of the tasks you complete on a daily basis result in the most revenue? It might be making sales calls or meeting with prospects. It might be focusing more of your energy on the 20% of clients who pay you the most money or attracting more clients like them. In order to identify this 20%, you might have to take stock of your day with a time tracker like Toggl Look through your tracked time and see which tasks are those that truly drove results for your business that week. Alternatively, you can also download a free productivity template that I’ve created and still use myself to stay focused on my 20%. Step 2: Eliminate unnecessary tasks. As business owners, we face constant interruptions like questions from staff, emails, and texts that often does very little in terms of growing your business. How much of this is really necessary? The truth is, certain tasks do nothing at all for your business except take your attention away from high-value tasks. Take stock of your daily routine and identify which of these tasks can be completely eliminated from your schedule––tasks which bring no value to your business. For things like checking emails or your business’s social media pages for new comments or inquiries, instead of jumping to your phone every time a notification comes up, it’s best to block off one or two chunks in a day to complete these tasks or delegate the responsibility to an assistant. This can help you stay focused on the task at hand, so you can become more effective. If the problem is that your staff or clients seem to ask you the same questions again and again, focus on creating a more effective onboarding system, like recording short videos demonstrating the answers or processes they’re asking about. You can also have your team create a document with frequently asked questions and answers which will eliminate the time you spend answering these redundant questions. There are many tools that you can use to automate redundant tasks, like lead capture and automatic followups with leads and clients. One example of this would be automatically following up with leads when they submit a contact form or inquiry form on your website. You want to use an email marketing software that allow you to create a response that is sent automatically to any lead who submits a form on your website. You can use basic email service providers (ESP) like SendGrid, aWeber and MailChimp or you can choose intelligent marketing automation like Active Campaign. What won me over to Active Campaign is it lets you send follow-up emails that adapts to your customers’ behavior, so you send the perfect message at the perfect time. You’ll have happier customers and higher lead conversions. And it doesn’t require a huge learning curve like some other platforms. The automatic, immediate response helps to convert more leads into clients (studies show that the more quickly you respond to a lead, the more likely they are to convert)––but it takes care of this process instantly and automatically! If you’d like to receive a free marketing automation assessment sign up for a 30-minute discovery coaching call with me. Step 4: Delegate the rest. Delegation might seem like a scary step to take if you’re a solopreneur, but hiring staff is necessary to scale your business and take your income to the next level. Identify the low-value tasks that keep your business running and cannot be eliminated or automated. Some examples might be data entry, responding to simple emails, and answering questions that come through your business’s social media pages. Then find a way to outsource these tasks, even if only for 5 to 10 hours per week to start off. You don’t have to start off with a full-timer. An affordable virtual assistant can help you with certain tasks that will free you up to make a greater impact on the 20% of activities that generates 80% of your business. Step 5: Observe and adjust. Going through this process involves a lot of growth, evaluation, and reevaluation. What works and what doesn’t? For best results, evaluate your business efficiency and revenue four weeks after implementing this system and see where you stand. Making incremental progress each week can add up to transformative change at the end of each quarter and year.